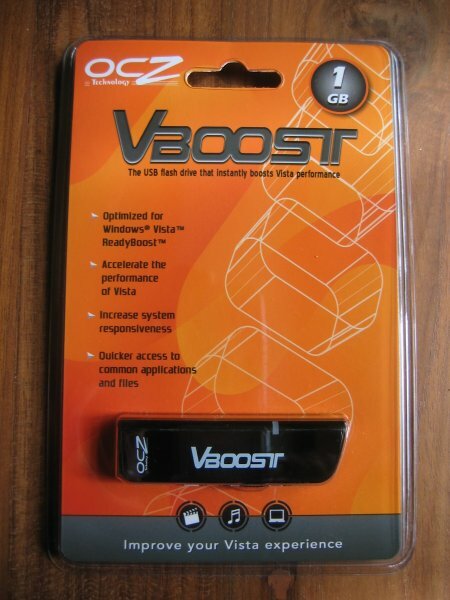 Since the launch of Windows Vista quite a few memory makers have released special "ReadyBoost ready" USB drives. This basically means that these drives are fast enough to take advantage of the new ReadyBoost feature in Vista. A few weeks ago OCZ released their first ReadyBoost drive, the OCZ VBoost. 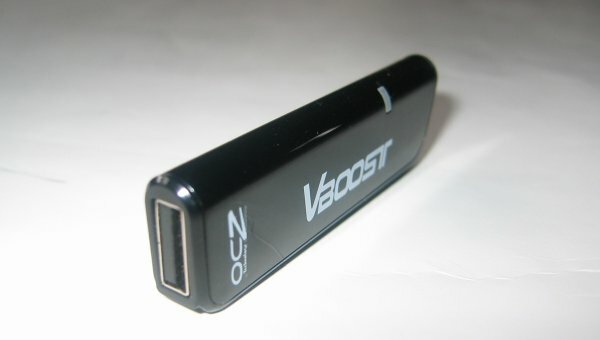 The VBoost flash drive from OCZ is available in 1GB, 2GB and 4GB capacities. In this review I'm taking a closer look at the 1GB OCZ VBoost. One of the most special features of the VBoost series is the capless design. 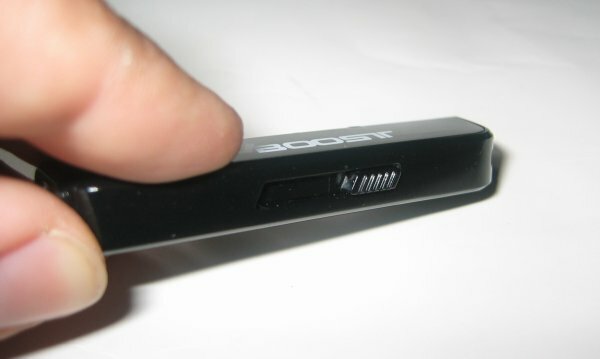 Just like OCZ's small Roadster, the new VBoost doesn't have a cap that you need to remove before you can plug the device in one of your USB ports. Instead the VBoost features a retractable USB connector. On its website OCZ lists several accessories like an accessory strap, keychain ring and a USB extension cable but I couldn't find any of these items in the package of my VBoost. I'm not sure whether this is an error on OCZ's website or perhaps these items are only included with the 2GB or 4GB version. The VBoost unit is painted in black, and it's pretty glossy. The front has some text, the OCZ logo and there's also a LED which lights up blue when you're transferring data. Nothing really special on the back of the VBoost, besides some text with OCZ's web address. The retractable USB connector from the VBoost is pretty neat, it's very convenient and very fast to use. One of the other advantages of this design is that the flash drive doesn't have a cap that you can lose. Head over to the second page for the performance benchmarks and the ReadyBoost test results.